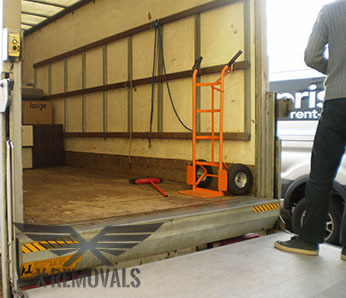 At X Removals we know perfectly well what it is like having to handle a large scale business removal in London. There are so many factors that should be taken into account that it is better to leave it to a team of professional movers to handle the job for you if you are hoping for proper results. At our company we maintain a large team of very well trained, fully licensed professional movers who specialize exclusively in office removals in London. They know the job inside out and are acquainted with the latest developments in the field, so you can count on the fact that the service they are going to deliver will be exactly the one you have been hoping for. A business removal in London begins much earlier than the proper moving day. There are quite q lot things that you should focus your attention on, including informing your clients and partners about the transition, making the arrangements with delivery companies, allocate phone numbers, getting the needed licenses for the new office and so on and so forth. Notice that we did not even mention the actual tasks related to the move? Since you have so much on your plate already, there is no need to put additional strain on yourself and your employees. Leave it to our certified movers and packers to figure out the details of your office relocation. The main goal of our business removals in London package is to provide your company with as smooth a transition as possible. The important thing in such a situation is that your work process suffers as little disruption as possible, which is exactly the thing we are going to make sure would happen. We will fully comply with your preferences regarding the schedule on which the whole move would be carried out. Many of our business clients prefer the relocations in London they hire us for to be completed during the night or over a weekend, so that they can resume work as swiftly as possible. This is no problem for us, because, after all, it is your satisfaction and company’s well-being that we are after. Budget is another thing that you will not have to worry about when you have us for your business removals in London company of choice. Our fair and quite competitive rates apply to all parts of the capital alike. We will use a special custom pricing system to determine the costs of your business relocation. Call today and get a free quote for the full price of your office removal in London from our 24/7 customer support team. The best part of having a specialized commercial removal company working by your side is that once there is someone to take care of planning and executing your office removal, you and your employees will find yourself with enough free time and resources to concentrate on other matter that your company is going to face in the near future. Spend the time informing your clients about the move and figuring out your strategy now that you are relocated to new, hopefully bigger and better office. That’s what’s best for your business and you know it. London has been one of the commercial capitals of the world for centuries. Even today the City remains the most economically relevant spot on the globe, staying ahead of New York City and the budding Asian markets in the Global Economics Index in the past decades. Thousands of international corporations and companies have their headquarters either in the City or in the newly built commercial district at Canary Wharf. The tourism industry is also fairly prominent on the territory of all the capital’s districts. Tourism is another major industry that is very well developed in London. There is no other way, bearing in mind that there is so much to see in a city with over 2000 years of history. From the Imperial War Museum to the London Zoo, here you will definitely find something up to your tastes and liking.